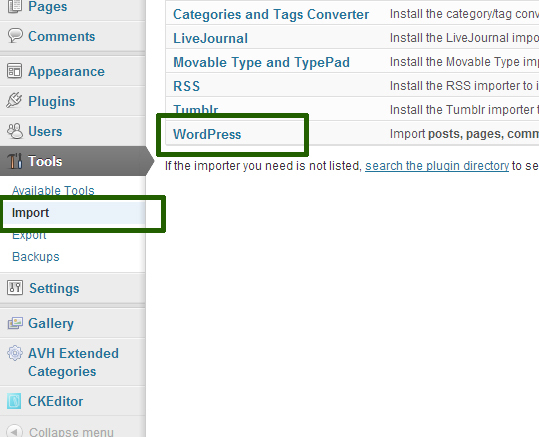 The simple and easy way to backup your wordpress site is to download and install “BackUpWordPress” pluggin. By using this pluggin you can backup database as well as files. To download this pluggin click here. After installing and activating the pluggin you can open “BackUpWordPress” pluggin by Tools –> Backups.You can change the settings and save. 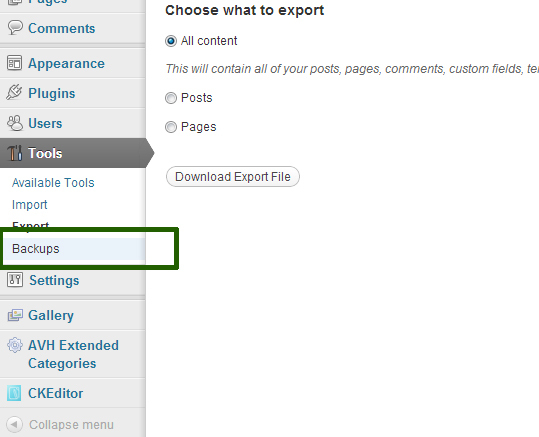 You want to backup just post and pages go to the Tools –> Exports then select the option and click Download Export File. 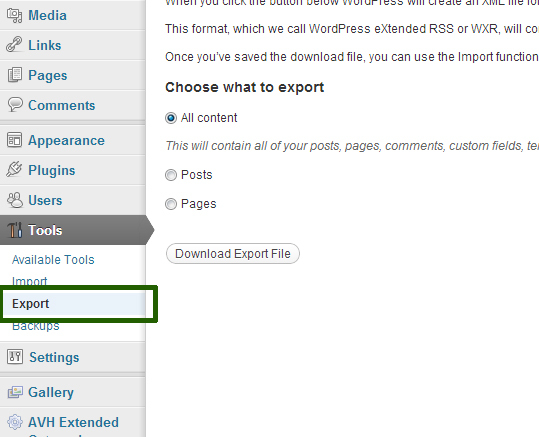 To import the database go to Tools –> Import and select WordPress.